Ace Door & Window has been installing the highest quality residential doors in Jacksonville since 1985. We display the same professionalism and quality work in our door installations and replacements as we do in our window installations. Our excellent products provide your home with ensured security, as well as an enhanced appearance, from the exterior to the interior. All of our completed work guarantees satisfaction, and with this in mind, we can confidently say that we are Jacksonville's #1 source of doors, windows and installations! 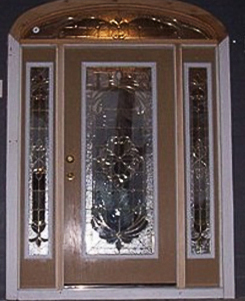 At Ace Door & Window you can select from a wide range of residential doors for your door replacement in Jacksonville. From decorative glass to sturdy wood, we offer a residential door that fits your needs and tastes perfectly. In addition to our residential entry doors, we also offer quality sliding glass doors for homes in Jacksonville. Need door installation in Jacksonville? Call Ace Door & Window today at (904) 438-3981 for professional wood, storm, fiberglass, and glass door installation in Jacksonville, Neptune Beach, Atlantic Beach, Jacksonville Beach, Ponte Vedra Beach, Arlington and Southside Jacksonville, Florida.